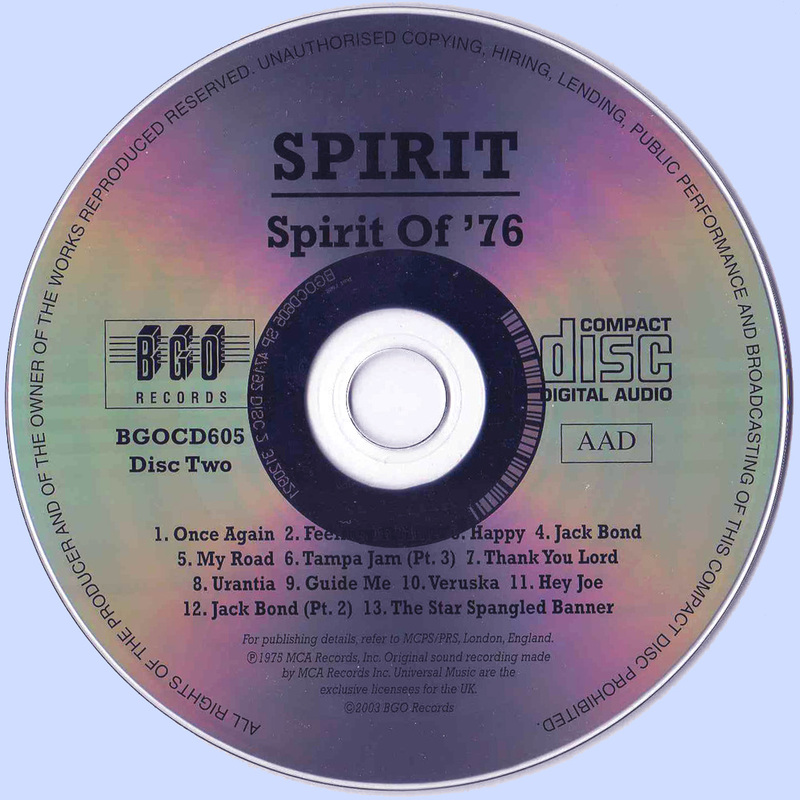 With the exception of their first four albums, Spirit released some of their best music in the mid 70s. Spirit of ’76 (released in 1975 by MCA) is a brilliant double album that saw Ed Cassidy and Randy California “officially” reunite for the first time since the legendary 12 Dreams of Dr. Sardonicus. This disc was also the first band release to feature Randy California in complete creative control of the group’s sound. Prior to the album, California had suffered a nervous breakdown, an event that led him to relocate to Hawaii. In Hawaii, California lived on the beaches, miserable and destitute until he was taken in by a Christian family. 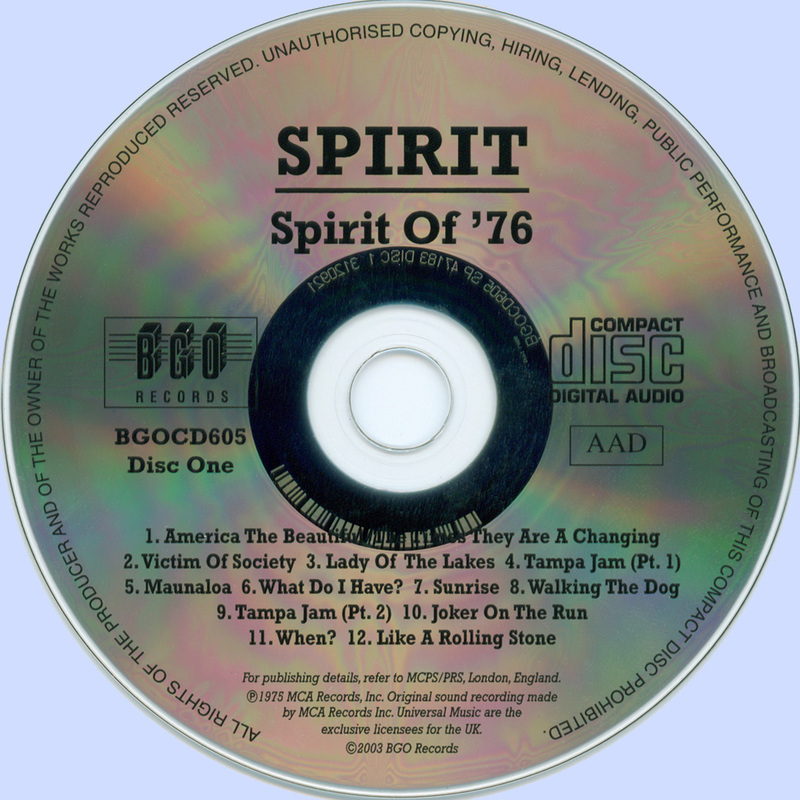 The guitarist wrote most of the material for Spirit of ’76 while being employed as a gardener in Hawaii. When California recovered, he phoned Ed Cassidy (the drummer) and when the two met up, the Spirit name was once again resurrected. Gone are the jazzy, intricate textures of the group’s early albums. 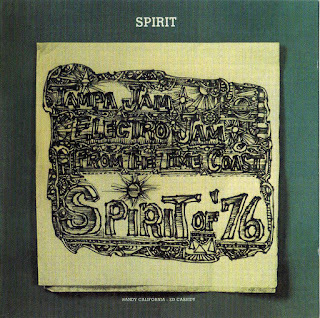 This version of Spirit favored a classic rock sound with plenty of distortion and phased guitars, vocal effects and a dreamy, stoned production – a strong Hendrix influence abounds. As with many double albums, there’s some indulgent moments sprinkled throughout the two discs. The brief “Tampa Jam/Jack Bond” theme appears 5 times throughout the album. Also, some listeners may be surprised by the 5 or 6 covers that appear on the LP. The original Spirit albums solely relied on original material. To me, the covers sound excellent. “Happy” (The Rolling Stones) is reckless and hard rocking, “Hey Joe” is suitably spacey and faithful to Hendrix’s version, “America The Beautiful/The Times They Are A Changing” is inspiring while “Walking The Dog” is a powerful rendition that features lots of great guitar work. Not many great classic rock albums were being issued in 1975/1976. At this point, all the heavy hitters (example – at this juncture The Rolling Stones, The Who, The Kinks and solo Beatles were releasing weak, uninteresting LPs) were peddling slick, corporate dreck to the public. Taken in this context, Spirit of ’76 is one of the better classic rock releases from 1975 that actually does possess real artistic integrity; a hidden gem from 1975. All songs Randy California, Ed Cassidy except indicated.